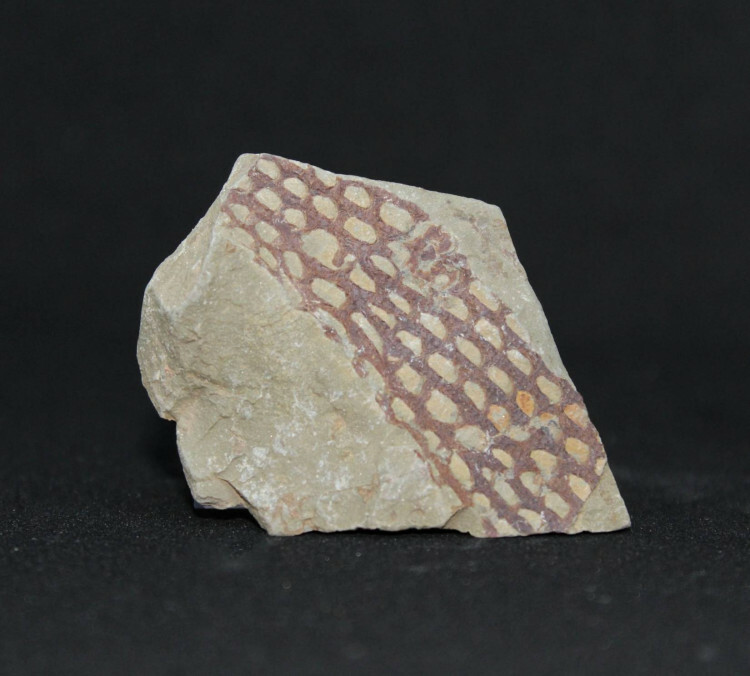 Small pieces of fossilised Graptolite on matrix, available in two sizes. Small Dictyonema Graptolite fossils on their host matrix rock. These pieces are from the lower Ordovician of Morocco and are easily recognisable by their ‘net’ markings. 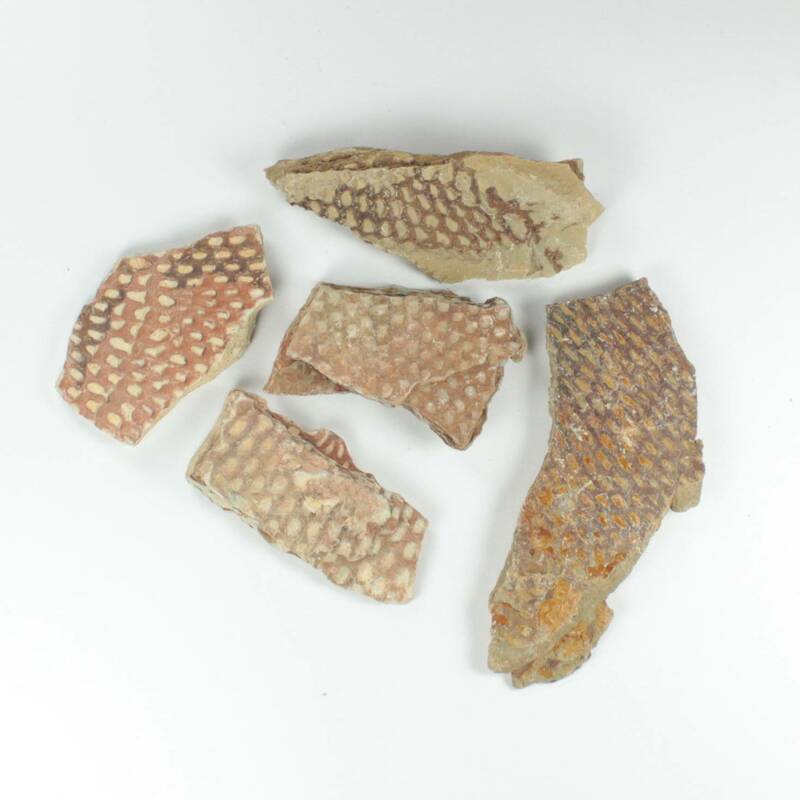 They could quite easily be mistaken for a fossil shell, or a pine cone or similar. Because of their markings, these pieces always remind me of an office block – they were colonial animals, too. Graptolites are found worldwide, although it is a wide genus and some are entirely different looking from these ‘net’ fossils. 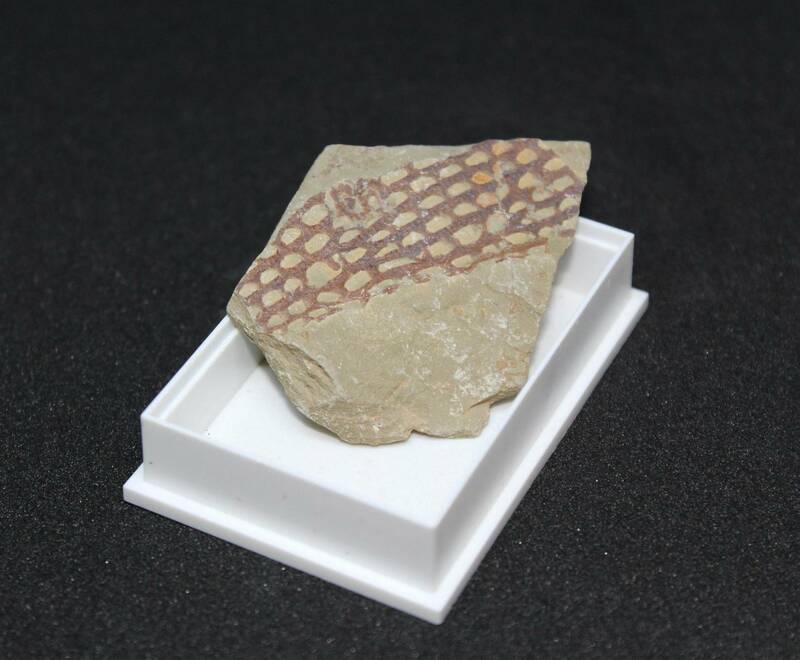 For more information about Graptolites, and a full list of all of our related items, please see our main ‘Graptolite’ page.